The key to student success starts in the classroom. Principals face the challenge of finding and keeping highly qualified teachers who will work to ensure learning for all. 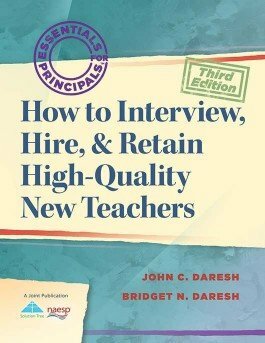 The authors use firsthand experiences and observations to guide readers through effective processes for recruiting, interviewing, hiring, and supporting faculty who best fit the needs of individual schools. Gain insight into productive recruitment and interviewing procedures. Learn effective approaches for determining the best interview questions to ask to collect the most necessary and relevant information about candidates. Understand what constitutes effective mentoring and induction programs to support new teachers. Form a recruitment process around the school's values and vision to find the best matches to fill teaching positions. Discover newly hired teachers' suggestions for how to improve the hiring process and support systems for new teachers.